I never imagined a man who spent years on death row would be a source of inspiration for me. Then again, I hadn’t known anything about Anthony Ray Hinton. Reason number 1,278 why I love book clubs. 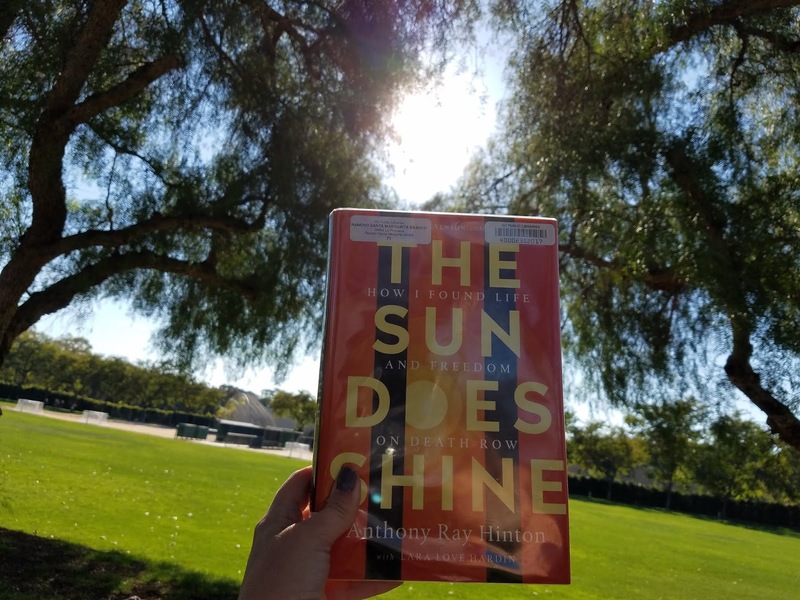 Hinton’s book, THE SUN DOES SHINE: HOW I FOUND LIFE AND FREEDOM ON DEATH ROW is our next read for book club. Forty pages in, and this book has found a way to seep into my day-to-day thoughts. Hinton’s honesty, his ability to see beyond his circumstances has been revolutionizing the way I approach my day. Needless to say, I’m excited about this book. I love when inspiration comes from unexpected places. I’ve been around long enough, and open-minded to a degree where this is happens on a regular basis. I just never know where the inspiration will come from—when it will spark. I’ve learned to expect it from nature, after a lung-burning run, or while reading. And yes, I’m inspired due to reading his book, but there’s something more here. Hinton is inspiring me. Through his book, yes. But also with a greater reach—through his life. I’m tackling some key edits on one of my novels, but I’m going to carve out some time so I can get back to reading THE SUN DOES SHINE. It’s one of those books that possesses a gravitational pull. Have you read anything life-changing lately? I read this and felt his gravitational pull. I wrote a review on it on my blog. I would love to be a fly on the wall for your book club discussion. I would love for you to be there too! Going to go read your review.